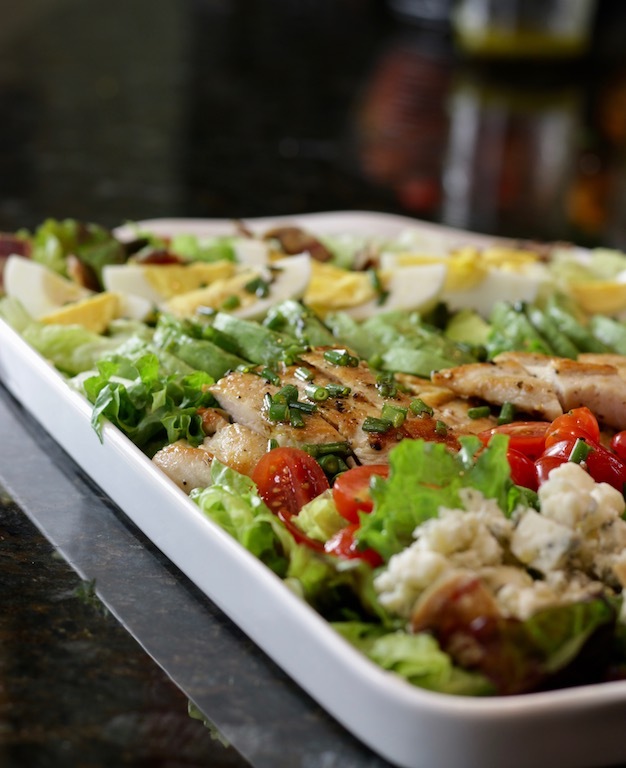 Cobb salad is delicious for an afternoon luncheon or for a warm weather dinner. 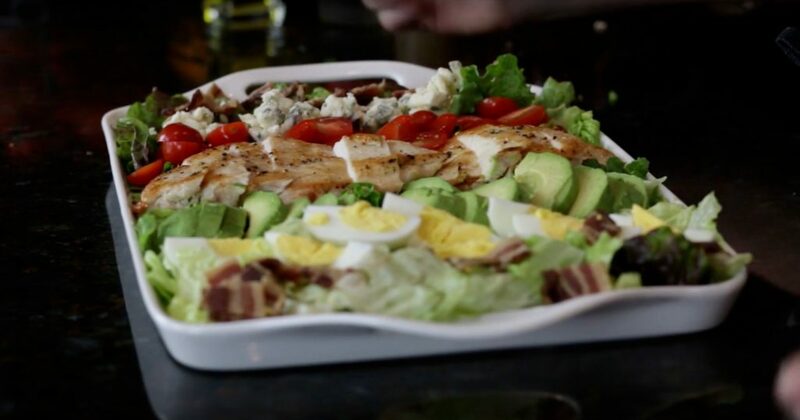 Watch the Cobb Salad Video Here. Check out our How To Sauté Chicken Breasts and the “Finger Test” videos. 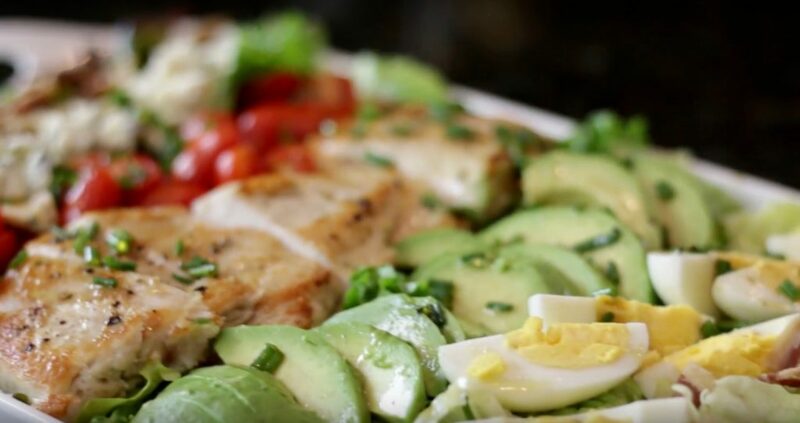 A Cobb salad is a composed salad. The ingredients are presented in rows, rather than tossed, for an eye-appealing presentation. Pour dressing over everything and serve! The presentation creates a lovely balance of color, texture and flavors. The salad originated at the Brown Derby in LA, supposedly put together late in the evening at the end of service using what was left in the kitchen. This is a quick and easy meal to make ahead; dress at the last minute for a light and refreshing lunch or dinner. Combine the oil, vinegar, chives, mustard, salt and pepper in a jar. Close tightly and shake well. Strew the lettuce across the bottom of a large platter. Arrange each ingredient in a row. Pour dressing over everything and serve.